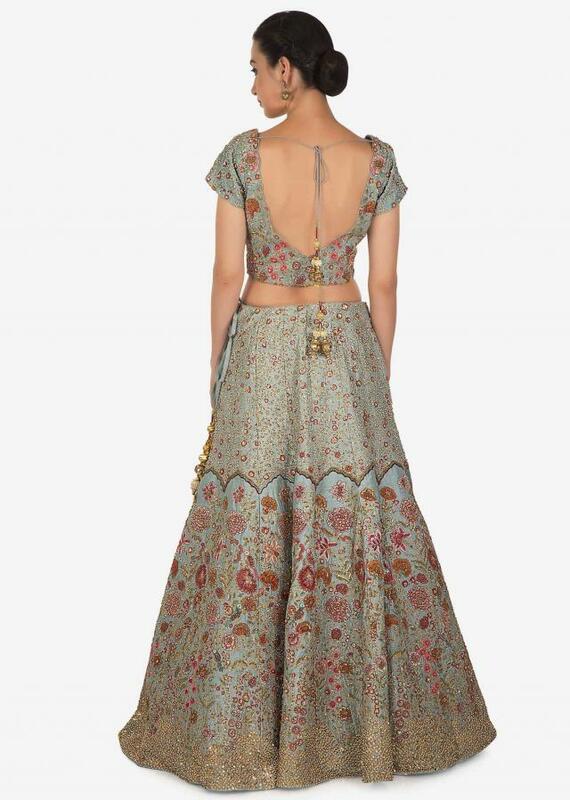 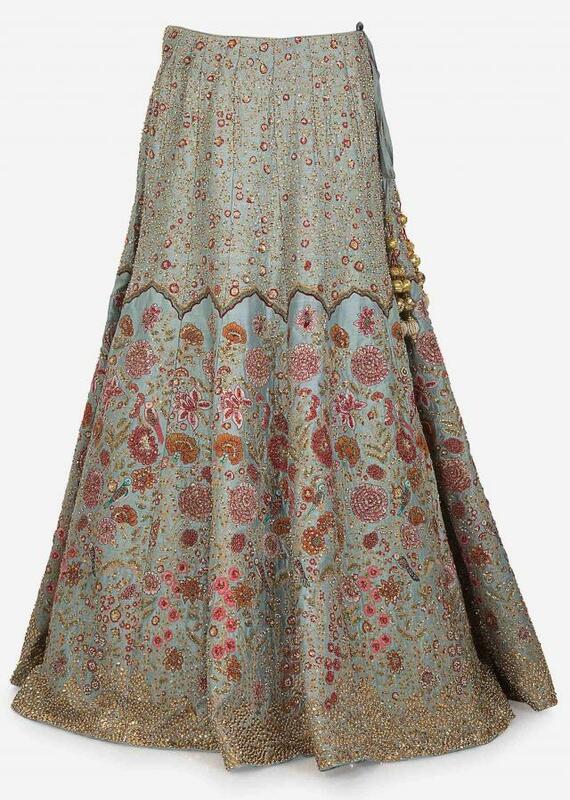 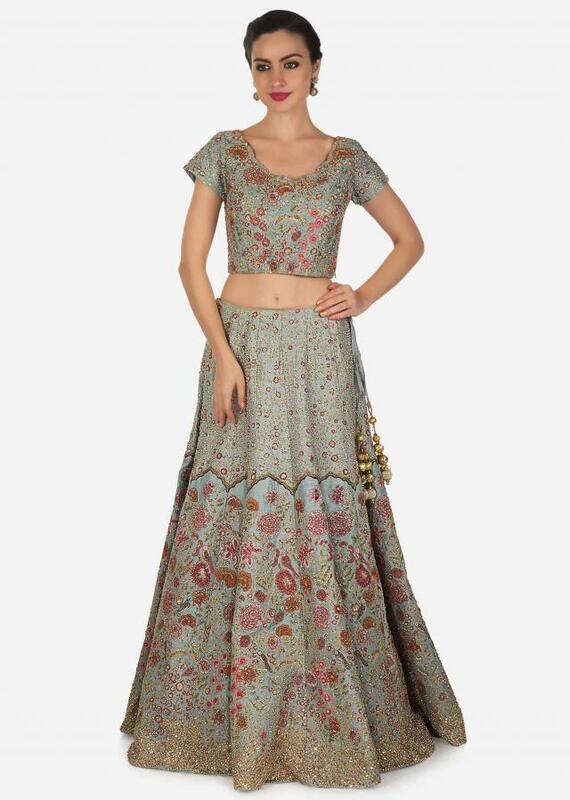 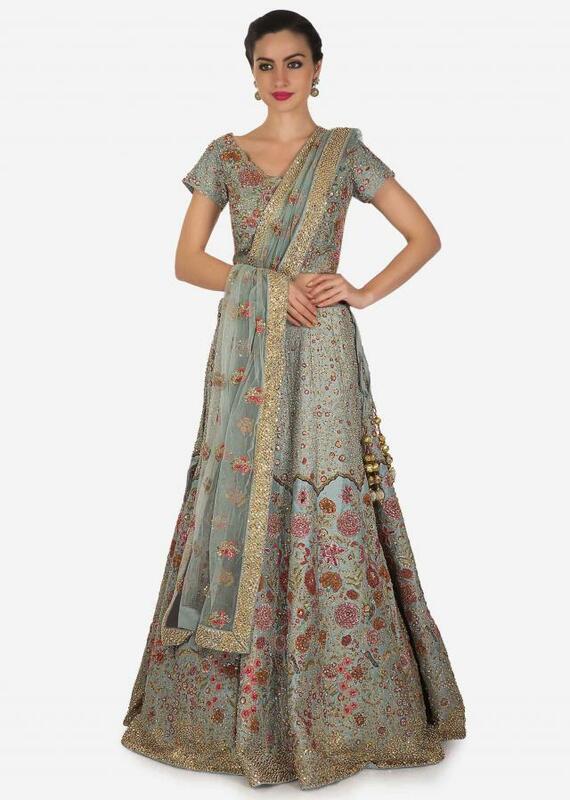 Coin grey lehenga featuring in silk. 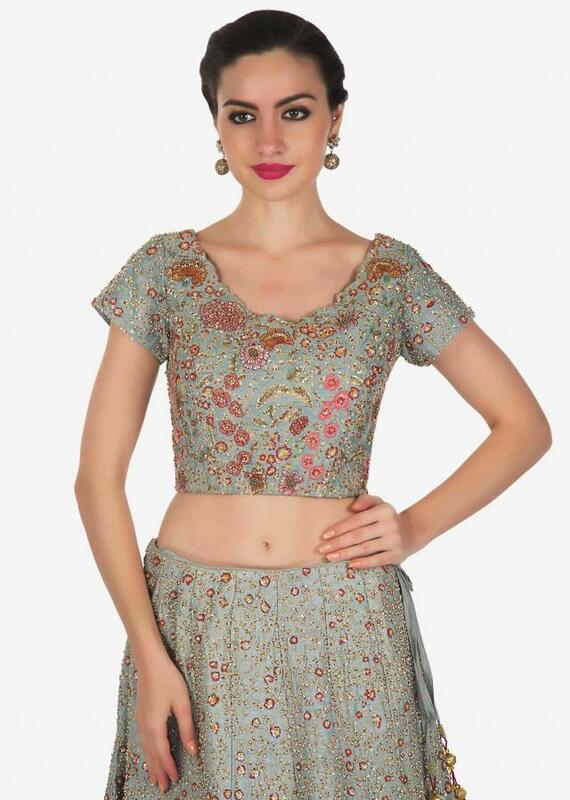 Its embellished in resham embroidery in floral motif along with sequin and zari work. 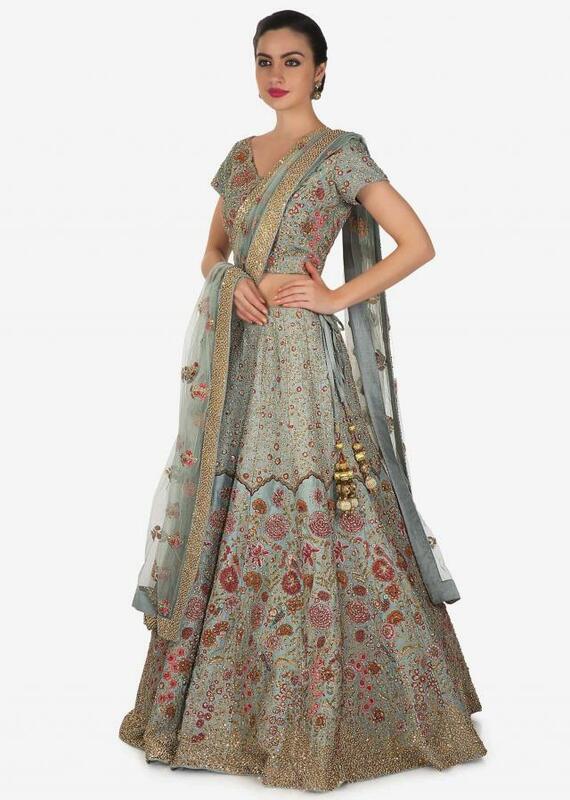 Matched with ready blouse and net dupatta in sequin border.